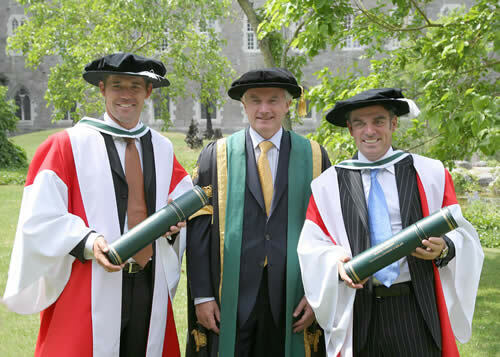 Home News How Padraig Harrington Bizarrely Became An Accountant When In India 22-Years Ago. How Padraig Harrington Bizarrely Became An Accountant When In India 22-Years Ago. 3 years ago by Bernie McGuire Comments Off on How Padraig Harrington Bizarrely Became An Accountant When In India 22-Years Ago. It is one of those quintessential Padraig Harrington stories. On his last trip to India 22-years ago he lost a semi-final match in the Indian Amateur but returned home a qualified accountant. Harrington has returned to the world’s most populous democratic country as leading international star for Thursday’s starting Hero Indian Open in Dehli. The triple Major champ stepped off his 19-hour in-air flight from Orlando via Frankfurt having picked-up five spots to move to No. 125 in the world on the back of his T33rd place in Sunday’s concluding Valspar Championship in Florida. And Harrington vividly recalls his first visit to India and not only being beaten by now retired European Tour colleague Christian Cavaer but the bizarre scenario how he learnt he had passed his accountancy exams. “My mother informed me from home I had received my ACCA accountancy exam results, and she said they were not going to open the envelope,” he said. “But they steamed open the envelope and if I had failed they clearly were not going to tell me but because I had passed she let me know the good news. “It meant I had become an ­­­­Association of Chartered & Certified Accountant and it meant, exams-wise, I was a qualified accountant. “But then I have never practiced accountancy so I do not have my ‘article’ so it means I am not entitled to put ACCA after my name yet I do have three Doctorship’s and a couple of Fellowship’s and I can put all those letters after my name but I can’t put ACCA as I didn’t do my ‘article’. In fact, Harrington’s golfing career path has seen him earn more than Euro 24m in prizemoney on the European Tour alone since turning pro after year after he competed in Calcutta. And while Harrington says he looks forward to playing the first two rounds this week with India No. 1 Anirban Lahiri he’s also looking to join newly-appointed Irish Ambassador to India, Brian McElduff at the Irish Embassy to celebrate St. Patrick’s Day.